Want the latest men's fashion without the trouble of malls? Join the best men's clothing subscription service and let a personal stylist pick out your wardrobe. Men's clothing subscription boxes put guys who don't like to shop in touch with personal stylists who DO like to shop. It's genius, really. 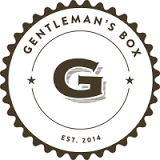 We've scoured the internet for the top companies that offer personalized clothing boxes for men and rated them to save you time. Compare the top subscription boxes for men today! To keep this site free for consumers, we receive compensation for customer referrals. Compare the top subscription boxes for men and save! To keep this site free for consumers, we receive compensation for customer referrals. It's a wonder that a clothing subscription specifically for men hasn't existed before now. With an eye for trending styles paired with your personal style, guys are sure to find the best looks. If your worst nightmare is stepping foot in a shopping mall, then a clothing subscription service is the remedy you're looking for. Avoid the parking lots, the lines, the crowds, and searching through hundreds of clothing items just to go home with one or two outfits. In most cases, you just need to fill out some basic info about your likes, dislikes, size, etc., and then the stylist does the rest. Sign up for a subscription and then you'll get outfits curated to your personal style. It's that easy. How Often do I Receive a New Outfit? Do you want a new box delivered every month so it's one less thing to think about, or would you rather only get new clothes when you decide you're ready? It's up to you, and luckily, you can decide exactly how many outfits per month you'll receive. Here, you'll have to weigh the benefits behind trying out a new look or outfit along with avoiding time spent at a retailer. You can get a subscription for as low $30-$70 a month, depending on the type of subscription you choose. Prices will increase for the more premium types of subscription you choose. So, for the cost of a shirt, you can receive a carefully selected outfit that is designed with your tastes in mind. Can I Incorporate my Style? Do you want to pick the types of clothing sent your way or would you rather leave all the decisions up to the experts? Some companies send you up to 8-10 pieces of clothing so you can pick out (and pay for) your favorites and return the rest. Others opt to send you a couple of hand-selected items for a flat fee every month. What if I Don't Like the Outfit I Receive? We've noted how each subscription service treats their returns and exchanges. Our top picks have received notable feedback on their customer service and quick responses. When it comes to outfits fit for a groomsman or wedding party, you need to receive the right outfit in a timely manner — our picks for clothing subscription services check off that box and more.